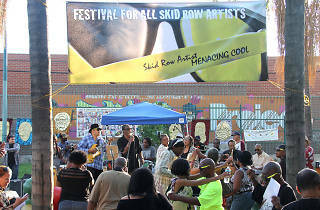 If Boyle Heights is just too hipster for you, come to Gladys Park for the Festival for All Skid Row Artists. 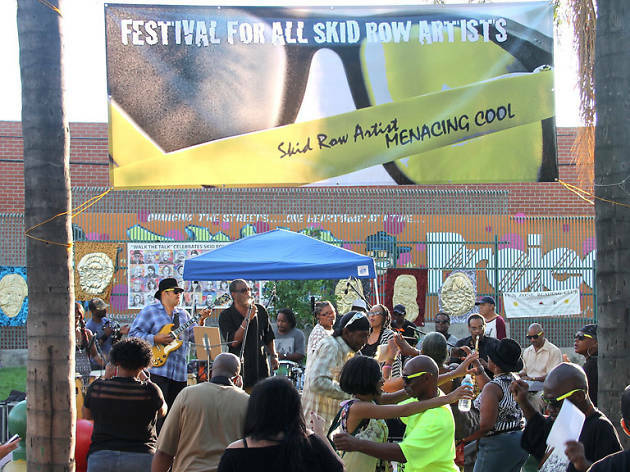 It's a weekend-long art fair sponsored by the Los Angeles Poverty Department, who helps collect date and digitally capture the visual art, writing, and performances of the local artists. Reggae, rap, poetry, dance, drawings, and paintings are just some of the art forms represented, and there's even an arts and crafts table for kids.